KAMILLA is a mid-heel pumps crafted in python skin-embossed cow leather together with genuine leather from insole to outsole. 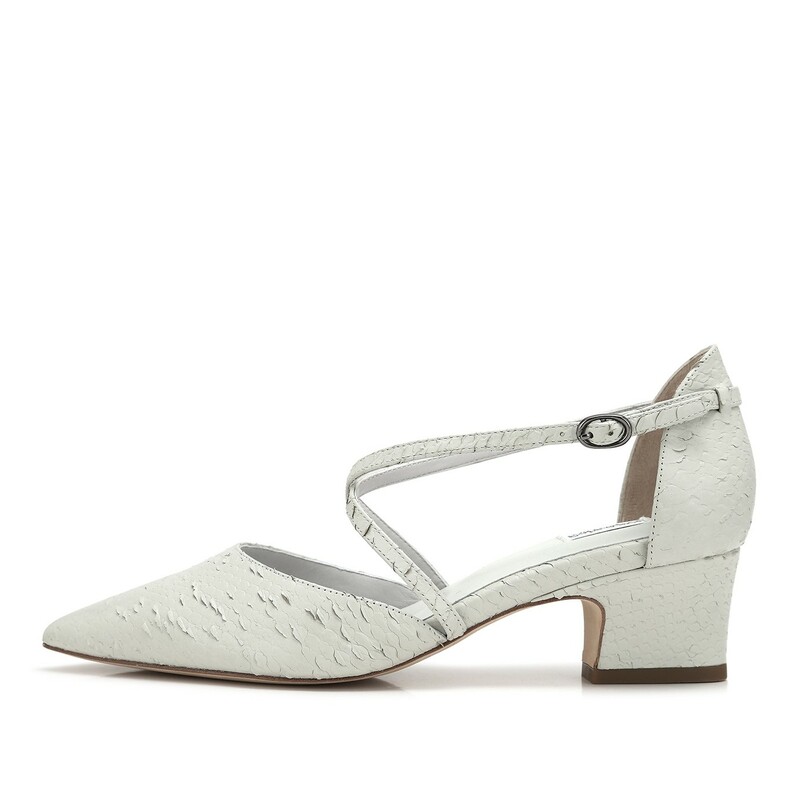 The leather-lined slim block heel is a highlight to the arrow shape pointy toe. Together with the sophisticated cross-band ankle strap design, it is absolutely a must-have piece in ultimate style. Heel Height: 5cm / 1.98"